Earlier this year, Pixi Beauty opened its first U.S. flagship boutique in Venice, Calif. Now, the brand is expending its boutique services to include a Glow Spa complete with signature Pixi facials and manicures. Following the brand’s success of its unique collection of more than 25 skincare products known as Skintreats, Pixi has entered the spa industry by introducing spa services through a curated menu including glow enhancing facials specifically designed to deliver radiant skin. True to the Pixi Beauty’s brand DNA of creating a product line designed for multitasking, flaw-fixing, youth-enhancing products for women on-the-go with no time to spare, no treatment offered at Glow Spa exceed one hour, allowing clients to pop in for a fresh face in minutes, while still having the chance to shop and swatch their favorite Pixi Beauty products. For more information, visit pixibeauty.com. 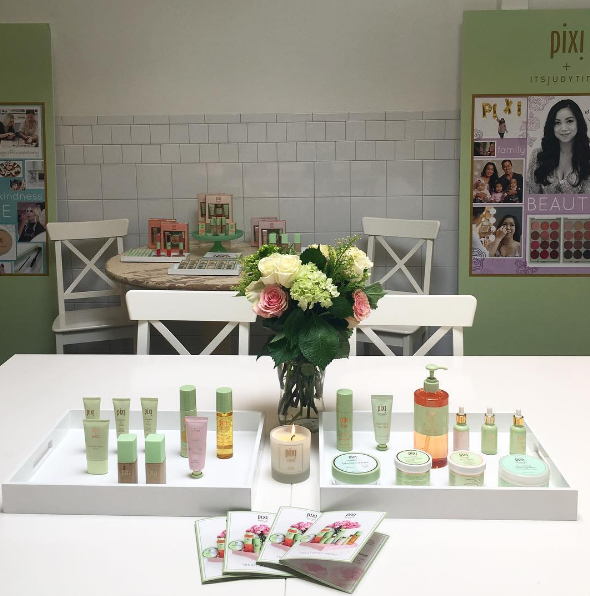 What do you think of Pixi Beauty’s new spa services? Let us know in the comments below!